A walking focused safari exploring a variety of scenic and cultural destinations within South Africa, including a visit to the beautiful Kingdom of Swaziland. This is an active holiday and the day walks range from leisurely to challenging, and provide a unique adventure for those interested in a walking holiday. Highlights include visits to the old mining town of Pilgrims Rest, the iSimangaliso World Heritage Site at St. Lucia, the Dundee battlefields and the majesty of the Drakensberg. Ends: Johannesburg, South Africa on Saturday at 5:00pm. 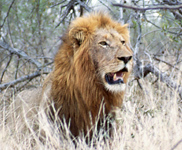 • A comprehensive introduction to the northern part of South Africa – game viewing and scenery! • Exciting trip with culture, wildlife, adventure, walking, mountains and beaches. 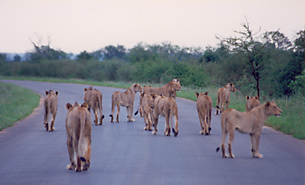 • Kruger NP, Swaziland, Zululand and Drakensberg. 13 nights on safari we stay at small, intimate and often private lodges (including tented camps), with en suite facilities. • 13 breakfasts, 14 lunches and 9 dinners are included, of which 6 breakfasts & 3 dinners are provided by the lodges. • The remaining included meals are provided by the safar crew, prepared at the vehicle and eaten around the boma or campfire. SAFARI COST: $1,985 per person sharing. Includes: Entrance to Gods Window, Mac Mac Falls. Day 1: Breakfast is not included. Day 1: Lunch provided by the tour leaders with the help of the group. Day 1: Dinner will be provided by the lodge. Overnight: Graskop Mogodi Lodge - twin bed chalet en suite. Swimming pool, bar, restaurant, telephone. WiFi not available. Distance / Time: 400kms, ± 6 hours, excluding stops for sightseeing, breakfast & lunch. Blyde River canyon is our first long morning walk as we walk from the rim of the escarpment down into the canyon with views over the Three Sisters and the river below. After lunch we make our way to a private game reserve in the Lowveld, and enjoy an afternoon game drive leading into a night drive with a spot light. Tonight our tented lodge is an opportunity to experience the wilds of big game country around a campfire. A highlight of our tour is the early morning game walk with a local ranger. Quietly we venture into the bush, learning the tracks and other signs of the wildlife we hope to track on foot. Includes: Entrance fees to Blyde River Canyon, private game reserve, game walks x 2, game drives x 2. Overnight: Balule Conservancy – twin meru tents with en suite facilities. Meals will be prepared by the tour leaders and eaten around the camp fire in the boma. WiFi not available. Walk Grade: Moderate – Blyde River Canyon – 3.5hr walk on good paths with some rocky sections. 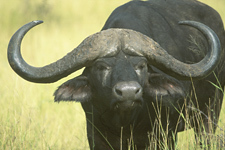 Leisurely - Big 5 game walk - early morning 3-4 hr bush walk with ranger to spot game. Distance / Time: 140kms, ± 2 hours, excluding stops for sightseeing, breakfast & lunch. Includes: Entrance fees to Kruger National Park, afternoon and morning game drives in tour vehicle. Day 4: Breakfast provide by the tour leaders with the help of the group. Day 4: Lunch provided by the tour leaders with the help of the group. Day 4: Dinner provided by the tour leaders with the help of the group. Overnight: Kruger National Park Tents - we stay in national parks board tents with en-suite facilities. Swimming pool, restaurant, and telephone. WiFi not available. Distance / Time: 240kms, ± 3.5 hours + 3x 3 hour game drives. Includes: Entrance fees to Malalotja Nature Reserve. Day 5: Breakfast provide by the tour leaders with the help of the group. Day 5: Lunch provided by the tour leaders with the help of the group. Day 5: Dinner will be a set meal provided by the lodge. Day 6: Breakfast will be provided by the lodge. Day 6: Lunch provided by the tour leaders with the help of the group. Day 6: Dinner will be a set meal provided by the lodge. Overnight: Hawane - mountain chalets en-suite facilities. WiFi not available. Distance / Time: 200kms, ± 3 hours, excluding 2-3 hour morning drive out of Kruger, shopping stop in Malelane, Jeppes Reef border formalities & stops for sightseeing etc. Includes: Entrance fees to Isimangaliso Lake St Lucia & Hluhluwe Game Reserve. Overnight: Shonalanga Lodge - twin bedrooms en suite. Swimming pool, bar, restaurant, telephone. Free WiFi in office & pool area. Walk Grade:	Leisurely – 2-3hr gentle walk through sand forests and along the estuary shoreline. Distance / Time: 380kms, ± 5.5 hours, excluding border formalities, excluding stops for sightseeing & lunch. Includes: Visit to Roukes Drift, and Islandwana battlefields, entrance to Talana Museum. Overnight: Battlefields Country Lodge - twin share chalet with en-suite facilities. Swimming pool, bar, restaurant, telephone. Free WiFi in reception. 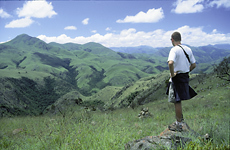 Walk Grade:	Challenging – 4-5hr Fugitives Drift trail through Zululand on uneven paths. It has strenuous sections with some steep gradients. Complete hike is dependent on the Buffalo River water level crossing. Distance / Time: 310kms, ± 4.5 hours, excluding stops for sightseeing & lunch. Includes: Entrance fees to Royal Natal National Park. 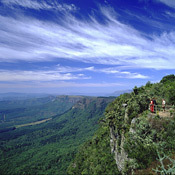 Overnight: Royal Natal National Park Thendele variety of chalets with twin or double bedrooms and en-suite facilities. WiFi not available. Walk Grade:	Moderate – 5.5hr walk up the Tugela gorge on good paths with some rocky sections, boulder hopping. Distance / Time: 180kms ± 2½ hours, excluding stops for sightseeing & lunch. Includes: Entrance fees to sentinel peak mountain walk. Day 13: Breakfast provide by the tour leaders with the help of the group. Day 13: Lunch provided by the tour leaders with the help of the group. Day 13: Dinner will be an own expense meal. Overnight: Witsieshoek, Bungalows – twin rooms with en-suite facilities. 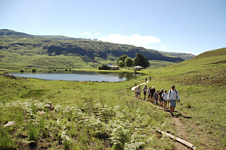 At 2220m above sea level, Witsieshoek is the highest lodge in the Northern Drakensberg. WiFi available. Walk Grade:	Challenging – 5-6 hrs walk on uneven paths to the top of the Amphitheatre with a short section of chain ladders. Distance / Time: 120kms, ± 2 hours, excluding stops for sightseeing & lunch. Includes: Day 14: Breakfast will be provided by the lodge. Day 14: Lunch provided by the tour leaders with the help of the group. Distance / Time: 360kms, ± 5 hours, excluding stops for sightseeing & lunch . Special Interest: This safari has a walking focus. 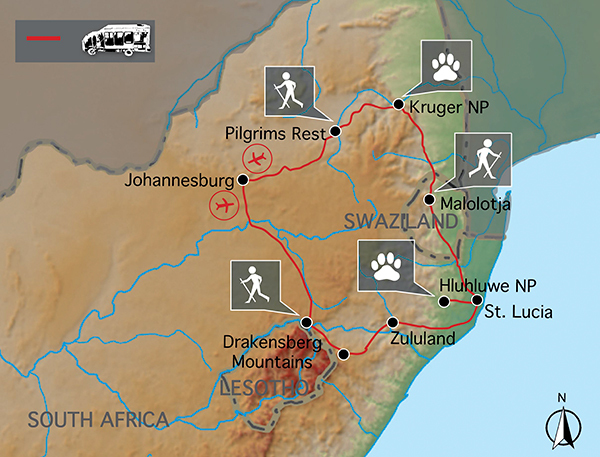 We include 8 day treks with your safari leader to explore different scenic areas of beautiful South Africa. You will need to carry your day pack and a bottle of water. Sustainable Tourism: Several times a year there is a trip for underprivileged children from SOS Children’s Village to visit Pilanesberg Game reserve, introducing the children to the wildlife, the importance and of conservation and helping broaden their horizons. Should you wish to help in this project, please contact us. We use custom-built safari trucks with 12 forward facing seats. These vehicles are comfortable for cruising with large sliding windows and front hatches giving everyone a good view; or (on 30% of tours) Mercedes Sprinter minibuses with 12 seats and air conditioning (with a trailer for equipment and gear). An essential part of your safari is some participation. From carrying your own bag to your room and day packs and water bottles on hikes, to packing the truck in the morning – it’s all part of your adventure. Where the tour leaders provide meals we ask that clients help (on rotation) with the washing up. When everyone puts in a little effort the trip will run smoothly and efficiently ensuring it is enjoyable for all involved. 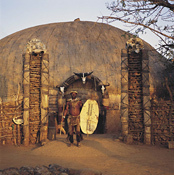 •	You will need a valid passport and visas for entry into Swaziland and re-entering South Africa. Consult with us if you have any questions in this regard. 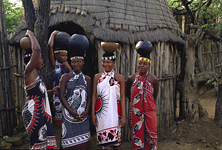 Swazi visa is free of charge and obtained at the border.